I can vote for Jimmy Olsen or Captain America, because that's all I've read in full (or in most cases at all). There's also a couple of Super Power mini series, but those weren't solo efforts. I'm not a big fan of his Jimmy Olsen run, but I guess I'll have to declare it the winner. This was really difficult because I think of the Fourth World books as one work, not three or four (Jimmy Olsen was part of the saga for only part of Kirby's run). 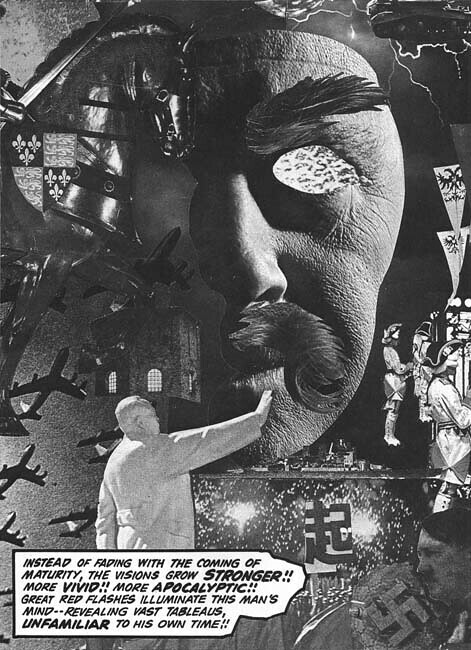 I ended up voting for New Gods because of the issue "The Pact", and because no one else had. And some people really liked "The Losers", the war stories Jack did in the pages of Our Fighting Forces at the same time as he was doing Kamandi and OMAC. I struggled with how to present the options and decided to count The Fourth World as four titles both because I do think they had separate flavors/identities that were not equally loved by fans, and also because I figured there was no way they weren't going to win if presented together as a single option. I do agree, though, that there are certain ideas and styles that permeate all the Fourth World titles (even though, admittedly, I've read very little of all but New Gods). 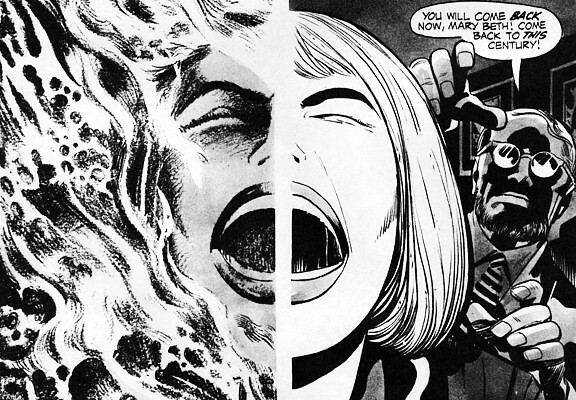 D'oh, forgot the Losers in the post-Marvel Kirby oeuvre IA m piecing together int he other thread. Have to add it in. Thanks for the reminder Rob Allen. OMG yes! I love The Losers!!! Got most of the issues and it's a wonderfull war book, and Kirby surprisingly fits this as a glove. Well, Kirby served in WW II and had first hand knowledge and experience. Yes, many regard it as some of Kirby's best work. Like Cei-U I thought of Streetwise, and love it insanely. Another lesser known work he did was the In the Days of the Mob one-shot he did (that was recently reprinted). That was notable, and worth getting too IMO. I got to get this book ... In the Days of the Mob - the art is unreal and realistic looking - Man it's rocks! "I remember that I walked into this town where they had the Command Center. This Lieutenant called me over and said, "Private Kirby?" I said, "Yes, sir." He said, "Jack Kirby? The artist?" I said, "Yes sir. I drew Captain America..."
"And Boy Commandos," he said. Lots of guys knew who I was, so this did not surprise me—you have to remember that the Simon/Kirby name was very popular at the time and many adults were reading comic books back then. "So you can draw?" he said. "Yes sir," I said, "Of course I can draw." I was thinking, "Great, some officer wants me to draw his portrait." Then he said, "Good. I am making you a Scout. You go into these towns that we don't have and see if there is anybody there. Draw maps and pictures of what you see and come back and tell us if you find anything." Well, I can tell you that was one time I was not happy to be known as an artist—but, I did my duty of course; I did what the Lieutenant told me to do. I went into these towns and it was like they show it in the movies, nobody was around and the place was a mess; buildings burned out, shattered rubble everywhere. I saw lampposts twisted into shapes, bent like pretzels..."
I think Klarion was the breakout star of the Seven Soldiers project and my favorite issues of the run. It's a tough call, but I vote for Mister Miracle: all the crazy 4th world mythology, but mixed in with teenage angst and rebelliousness. 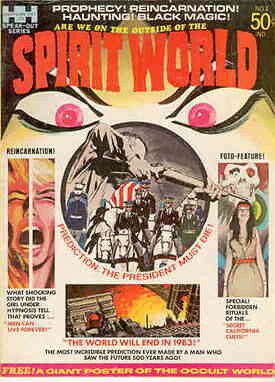 Kirby also did another black & white magazine for DC called Spirit World. As you'd guess, it too is pretty good. 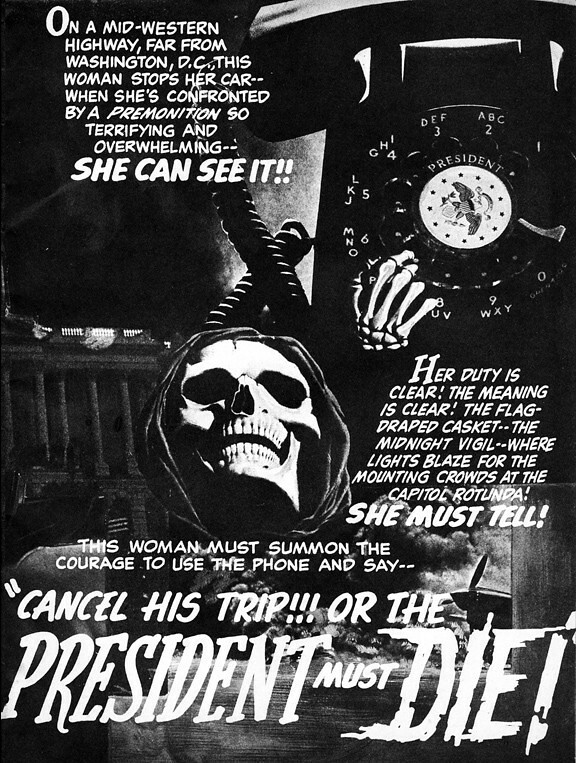 In fact I remember get chills up my spine looking at it as a kid. 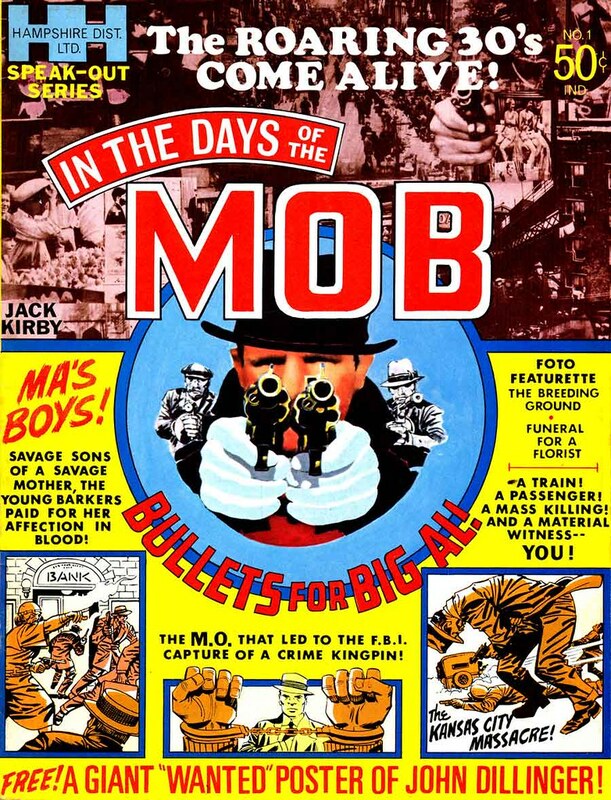 "In The Days Of The Mob #1-and-only! 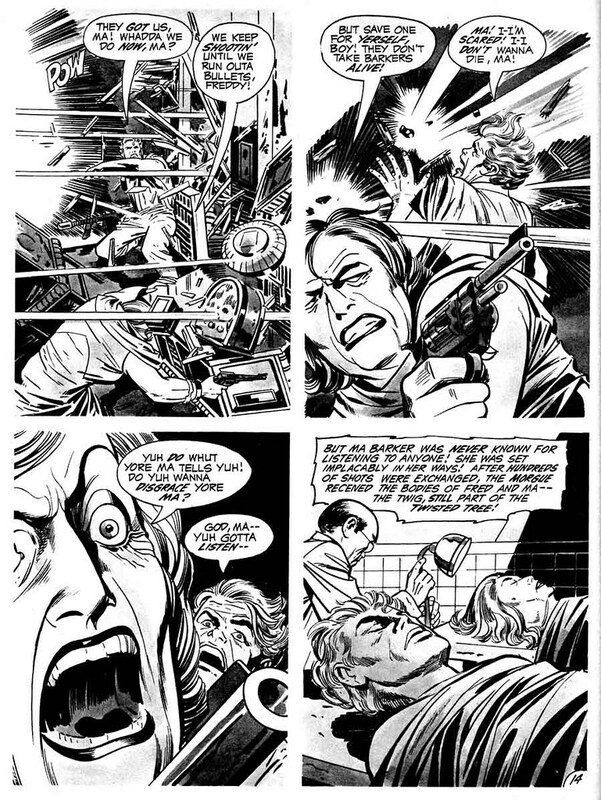 Jack Kirby's experiment with a larger format, a near-mint copy with the Wanted poster of John Dillinger still stapled in place! Even inker Vince Colletta and letterer John Costanza bring their A games to this one. The stories are introduced by a bizarre framing story - apparently Hell is organized like a prison, and our host is Warden Fry. We see him interacting with inmates, like Ma Barker, Al Capone, and Pretty Boy Floyd, and then telling the stories of how they came to end up where they are. There are also a couple of text stories and two pages of gags by Sergio Aragones. With better distribution and a better cover, this could have succeeded." 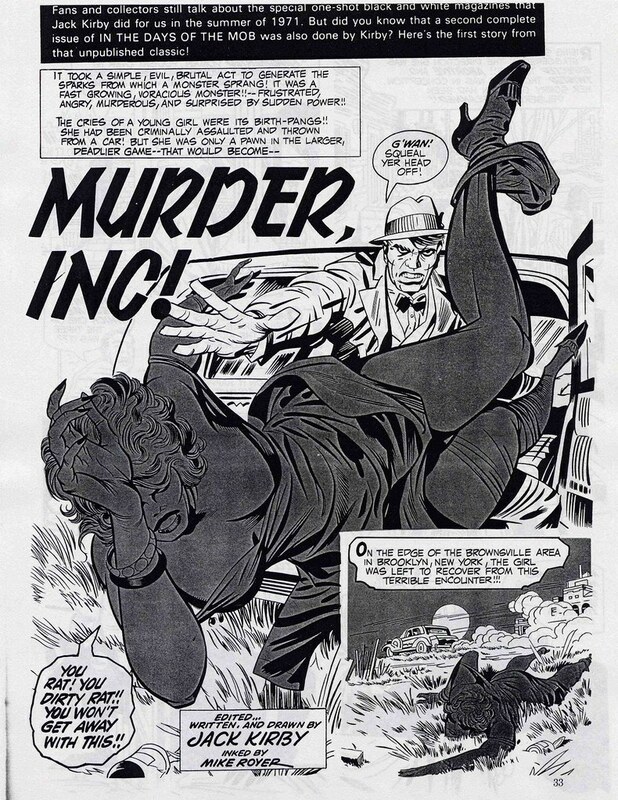 Note - that last scan, titled "Murder, Inc." was intended for ITDOTM #2, but ended up being published in DC's house fanzine, Amazing World of DC Comics #1. That's where that scan is from. I haven't read half of the books on this list sadly even though Kamandi and OMAC have always been on my to-read list. Of those I have read, I voted for New Gods just because of it's epic scale and mythos-building. I'm surprised at the reviews for 2001 though. I never knew Kirby worked on that title nor of the quality of types of stories for it. Sounds really interesting. I just contacted my Comic Book Store and they will send me a copy In the Days of the Mob to me in 4-6 weeks from now because that book is in big demands and the reason for is that Rob Allen got a copy of it at Emerald City Con in April and I miss it because of Family Commitments and Personal Problems that I had at that time. Spirit World looks really interesting ... and I'm going to try to locate a copy. 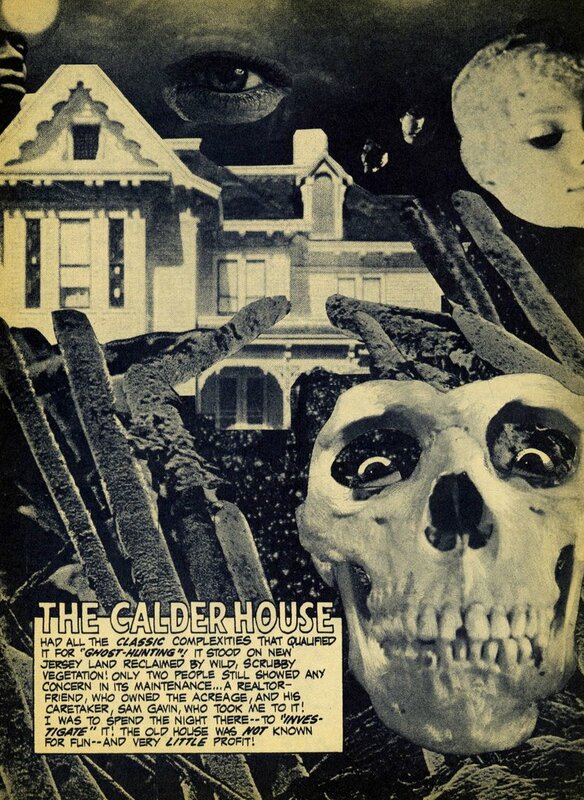 I'm a big fan of his early work before he went on to Fantastic Four with Stan Lee at Marvel. Never heard of this one, and now I clearly need to own it. Thanks much for posting this!